OK, you guys! This is so fun! 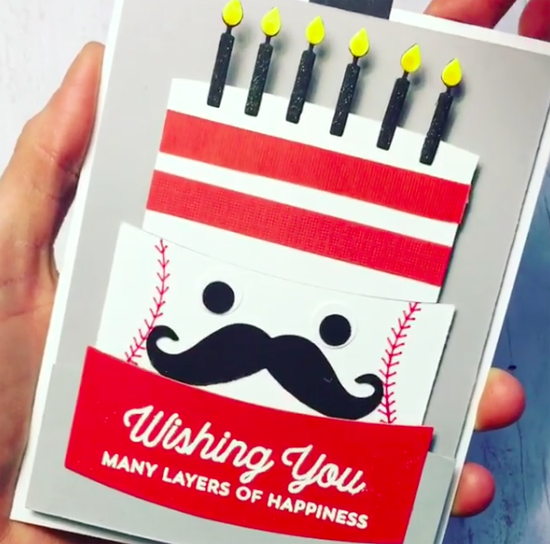 Dawn created this card for a coworker who is a huge Cincinnati Reds fan. The surprise when you pull the tab is Mr. Red Legs — the Reds' mascot. She used the Twice the Wishes stamp set and Interactive Birthday Cake Die-namics to create her fabulous slider card. You can see it in action on Instagram HERE. Using the Stitched Alphabet Die-namics, Caroline was able to create this delightful custom card for her daughter and new husband as they took off for snowy New York City! 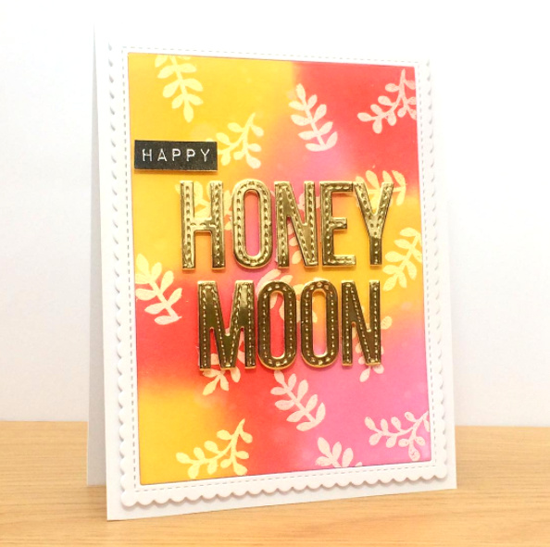 With our alphabet Die-namics and stamps, you can spell anything your heart desires. Yum's sweet birthday card has lots of fun layers to showcase four of our favorite cubs from the Beary Special Birthday stamp set! Bold Blooms take center stage on this knockout design from Lynn. 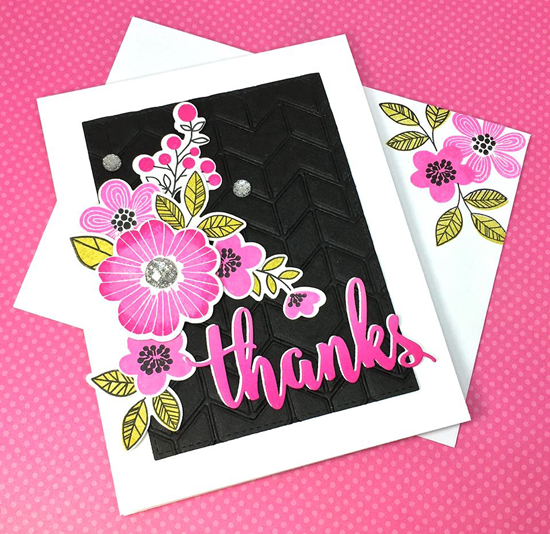 I particularly love her dry embossed background created with the Split Chevron Cover-Up Die-namics and her dual colored and stacked sentiment created with the Thanks & Hello Die-namics. Holy stacks of books! 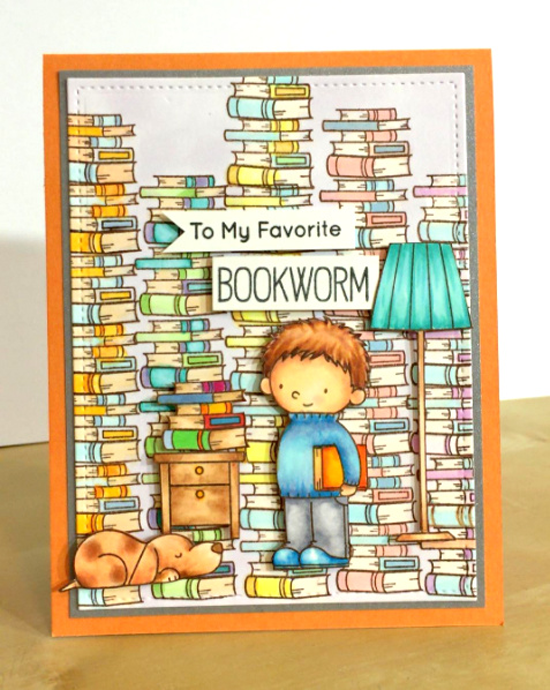 Kary went to town creating a massive library of tomes using the Our Story stamp set in this birthday card she created for her brother. Lucky guy! Thanks for using MFT, ladies! You've left us inspired, and that's what it's all about! See you tomorrow for another great Sketch Challenge, and look for the next MFT Color Challenge this Thursday, January 26th. Oh wow! This just made my day. Thank you so much Susan. It's a delight to see my card up there with so much awesome talent. Congrats to everyone else that was spotted. Fabulous inspiration. I absolutely love Lynn's card! I would've never thought to use the black as the background. Thanks for the inspiration! I love this wonderful variety of really beautiful cards. Thanks for sharing! Thank you so much for highlighting my card! It's an honor to see it here along with the fantastic cards that have been Spotted.